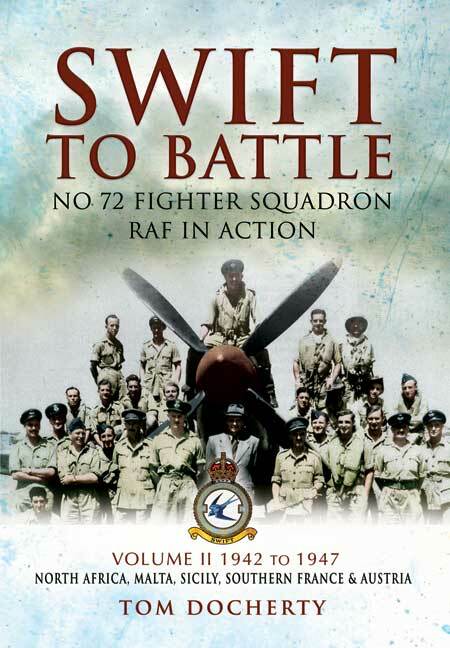 You'll be £25.00 closer to your next £10.00 credit when you purchase Swift to Battle: 72 Fighter Squadron RAF in Action. What's this? This second of three volumes traces the history of 72 Fighter Squadron, one of the premier squadrons in the Royal Air Force. The aircraft flown, operational personnel and missions flown are fully described with first-hand accounts from pilots and both air and ground crew. Having been operational in the European theatre during the early years of World War Two, the squadron moved to North Africa in support of the Tunisian campaign and were re-equipped with the updated Spitfire IX in 1942. They then assisted the Allied 8th Army as it advanced through Italy and France, being based in Malta and Sicily prior to the invasions. When the Germans surrendered they were sent to Austria. It was here that the Squadron disbanded in December 1946. No. 72 squadron was reformed on 22nd February 1937 from 'B' flight of No. 1 Squadron. In 1939, the squadron was outfitted with Spitfires which replaced the Gloster Gladiators that came with the flight from No. 1 Squadron. These were used in Air defence and convoy protection duties following the start of the war. Then, in 1940, the squadron moved to assist in the evacuation of Dunkirk. During the Battle of Britain, No 72 spent the early days at RAF Acklington as part of No. 13 Group RAF, before moving south during September to aid the main defence force. The squadron was then moved to North Africa to support the Tunisian campaign before being supplied with the updated Spitfire IX in 1942. They then assisted the British 8th Army as they advanced through Italy and France up until the German surrender. At this point they were moved to Austria. It was here they were disbanded on 30 December 1946.